With weather returning closer to average for April, I’m relieved I didn’t do any premature direct sowing back when the temps hit the 80s (other than spinach that likes cool temps). As recently as last week Chicagoland has received freeze warnings. This coming week looks to be quite warm, but it’s still too early to plant many varieties outside due to nighttime temps still dipping into the 30s and 40s. Even if the cold temperatures don’t kill the seeds/seedlings, it can stunt growth and cause poor performance later in the season. 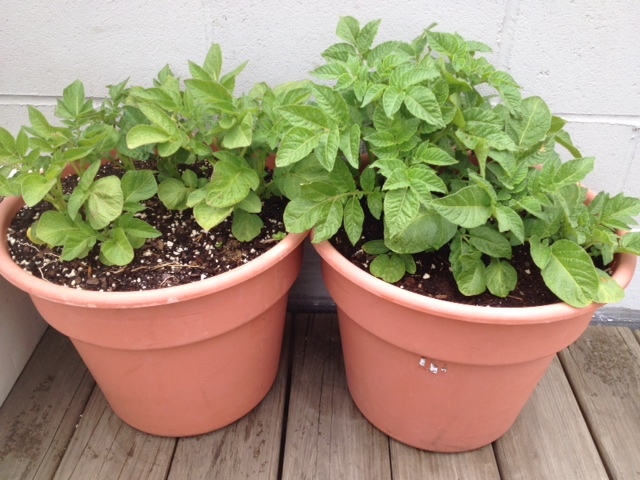 Potatoes planted in March are thriving on the rooftop- they can handle cool night temps. Turns out, potatoes make great container plants. 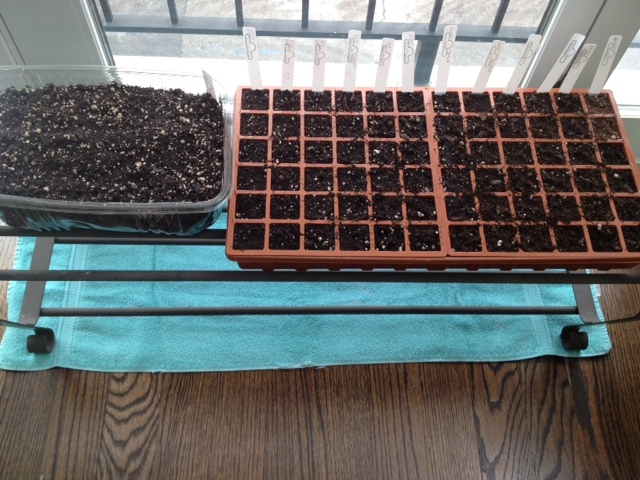 Yesterday I sowed several seed varieties indoors. 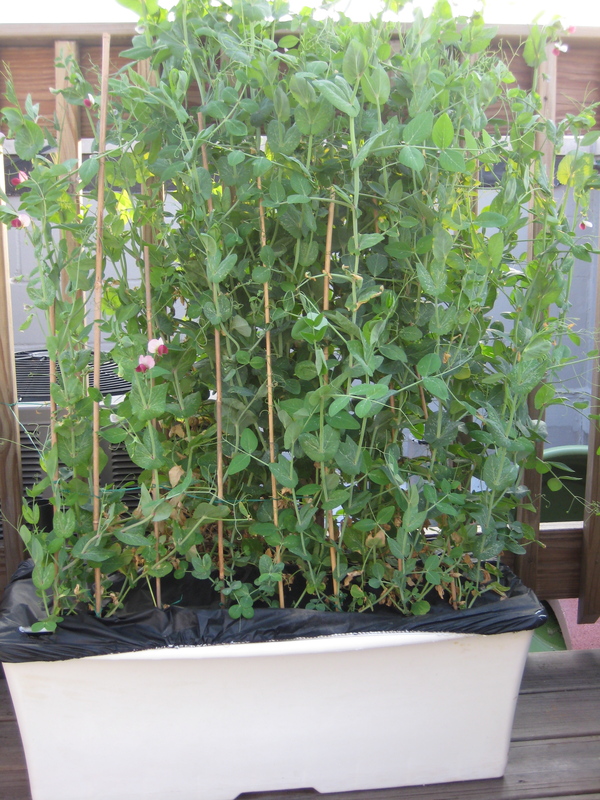 Competing with the high winds on the rooftop and lack of space indoors made growing from seed a challenge last year. Without much space indoors to accommodate proper lighting, it’s difficult to grow hardy seedlings that can then handle the hardening-off transition to outdoors. If we don’t get hurricane force winds and marble hail like we did last year in Chicago (literally) then I may have more success than I did last year. 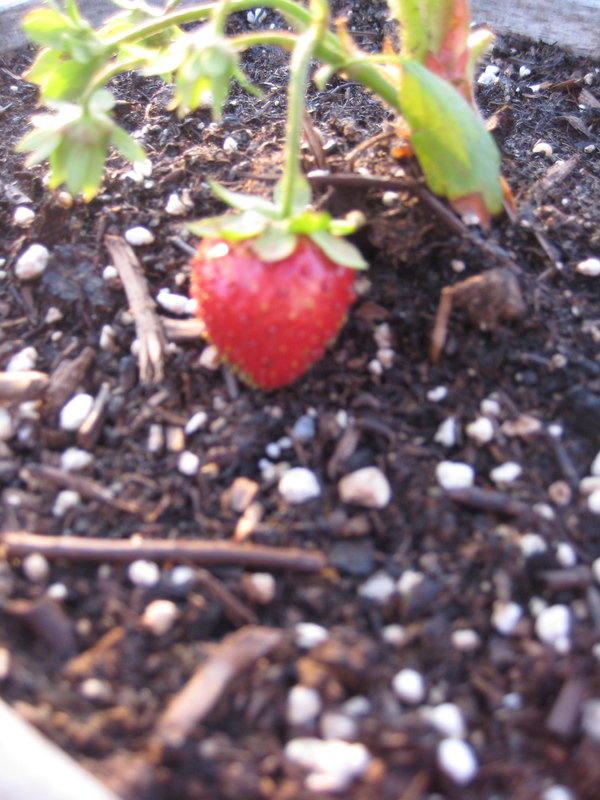 Strawberries are also great container plants that thrive in the midwest, and despite the harsh conditions on a rooftop. With them getting an early start this year, it looks like we'll have our first crop in May. Plastic produce "clamshells" (left) make good countertop sprouting containers and come with lids to keep seeds warm and moist for quick germination. We’re planning to supplement these seeds with seedlings from a local nursery that sells heirloom organics… especially if the wind mows down my young ones! Choose Heirloom or Choose Monsanto? Without jumping too deeply into the political fray, I just want to share a few links that will help home gardeners choose their seed supplier this year. This is particularly timely, with a gigantic class-action lawsuit pending against Monsanto by a collective of farmers and the wild popularity of the movie Food, Inc. If you want to avoid genetically modified seed varieties while supporting sustainable options like organics and heirlooms, then here is a link that lists which seed companies are owned by or sell Monsanto/Seminis seeds: http://www.garden-of-eatin.com/how-to-avoid-monsanto/. That link also shares alternative sources for non-Monsanto seeds. In addition, the Council for Responsible Genetics lists seed companies that have signed the 2012 Safe Seed Pledge. Make your own pledge to stay informed and make your vote (money) count when you make purchases this year. While it may be fun and nostalgic to thumb through the annual Burpee, Jung or Park Seed catalogs, just know that they are all supplied by Monsanto. [UPDATE] Not 5 hours after I published this post, did the New York federal court toss out the lawsuit against Monsanto. Back to the drawing board. 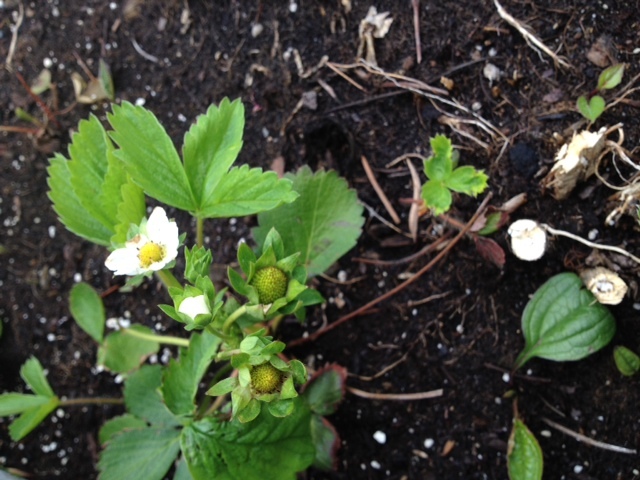 Well, the strawberries are loving the late summer heat and putting out some serious runners and fruit. This week I pulled up some ugly looking squash plants that were starting to die back. That gave me space in a few planter boxes for fall crops, including some deep red chard seedlings. I hope to squeeze out every last drop of warmth from the season and harvest right through first frost. Mid to late August and even into early September is a good time to plant early harvest vegetables in the Great Lakes region. Some crops will mature before first frost while others can withstand light frost and be productive through October. Chicago can expect an average first frost around October 14th, which is a week later than much of Illinois due to our position on the lake and micro-climates caused by the urban heat effect. That gives us plenty of time to plant veggies with 50 to 55 days maturity. 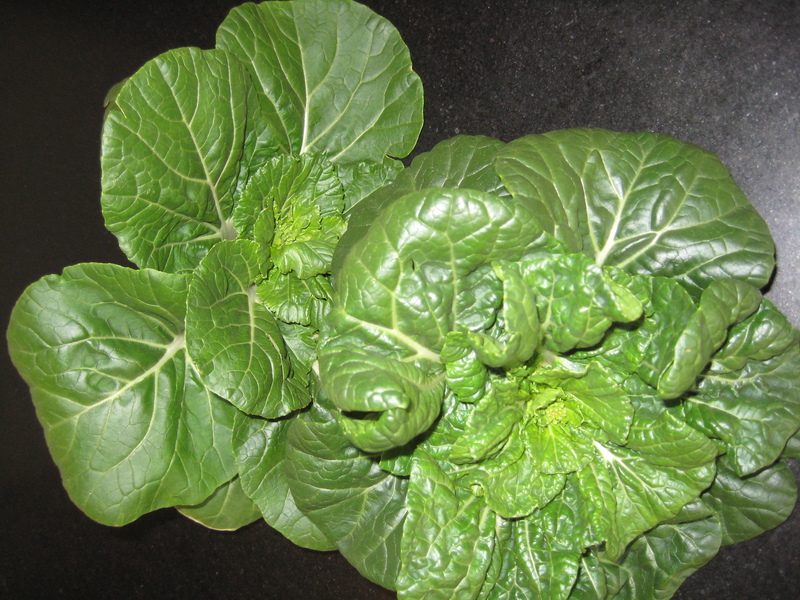 Vegetables that can be planted now include greens such as chard, collard, kale, spinach as well as lettuces. When it comes to radish, peas, beans, beets, broccoli and cabbage, look for early maturing varieties and plant now. In the northern Great Lakes it may be too late for some of these crops, so check a frost chart for your area to determine how many days you have left in the growing season. 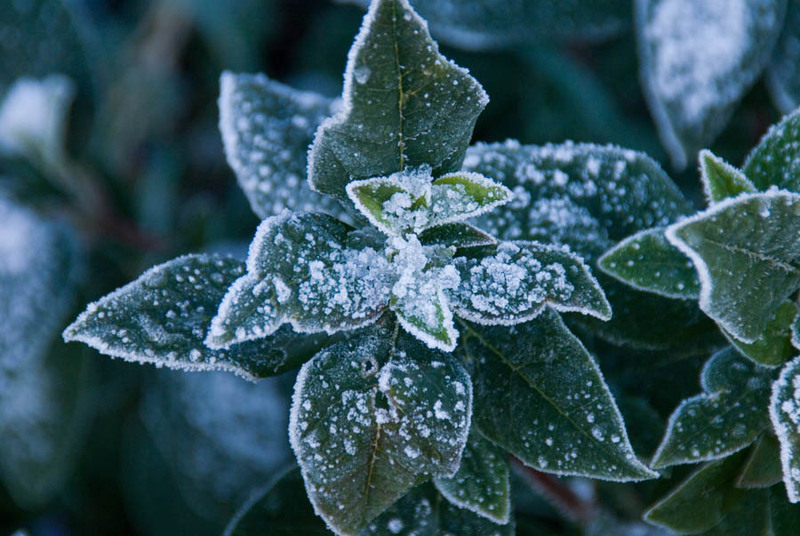 First and Last Frost Dates For All States: Victory Seed Co. These are heirloom Stupice tomatoes that I started from seeds purchased from Seed Savers Exchange (where Prez Obama visited last week, I might add). They are early, prolific, consistent and highly flavorful. 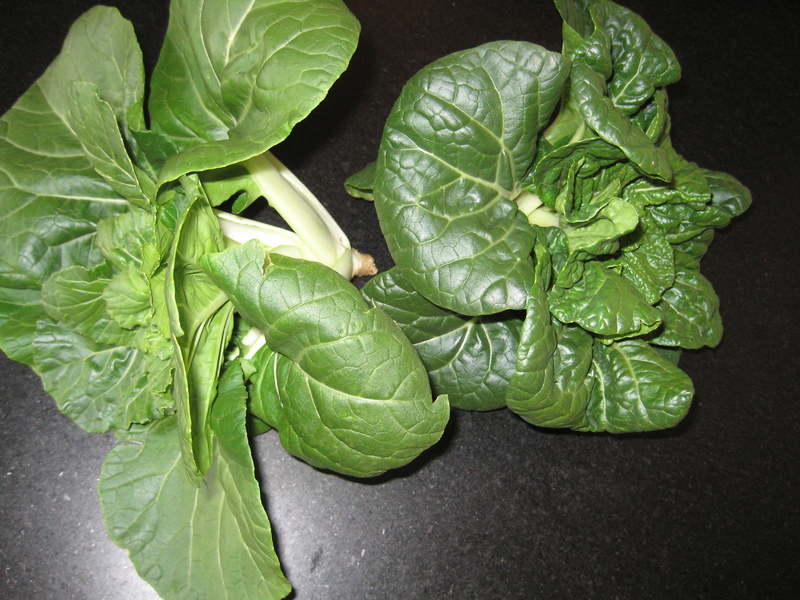 For an excellent article about picking vegetable varieties, including Stupice, check out Growing Taste. Those folks do the research and taste tests to take the guess work out of which plants to choose. Some of the tomatoes I picked had cracks or splits in the skin. 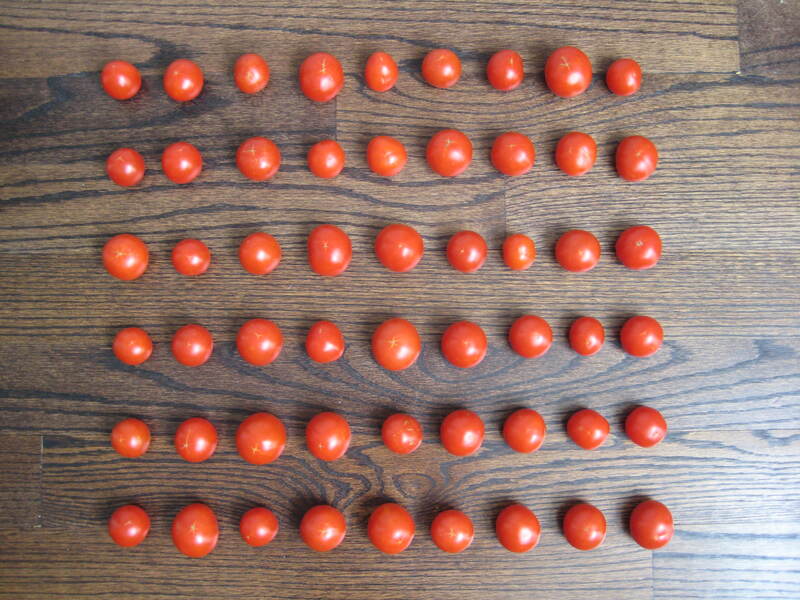 So, I found this helpful description about tomato splitting over at the Veggie Gardener blog. With the intense heat on the rooftop it can be tricky to provide consistent watering, but I’m getting the hang of the micro-irrigation and I’m on my second battery operated hose timer. Oh, and while I’m thinking about it, I should mention I haven’t used ANY pesticide this year. Fingers crossed. Better arrangement of Earthboxes and irrigation drippers from early on in the season = consistent irrigation and less back pain. 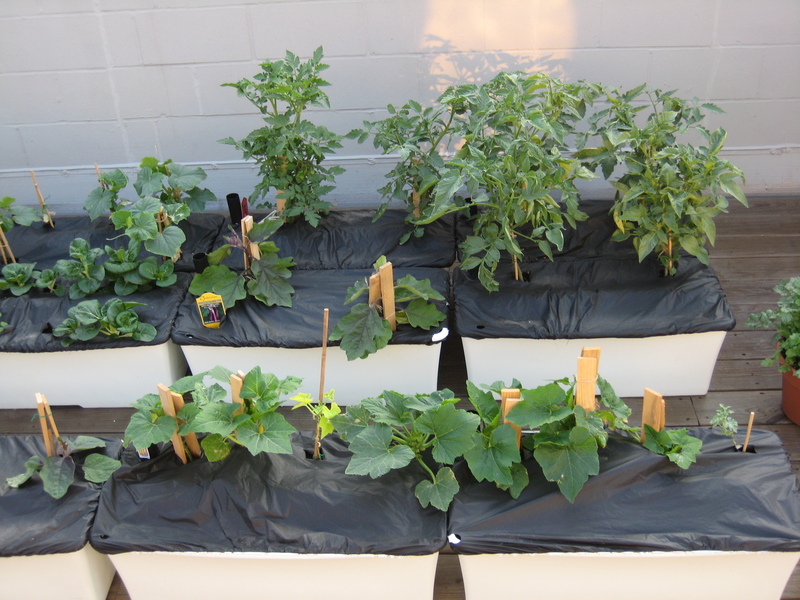 More plant variety = fewer eggplants. We’ve tried every eggplant dish save for babaganouj and moussaka. Who knew they’d be so productive. Later transplanting = fewer heartaches. Cool it on the eggplant! 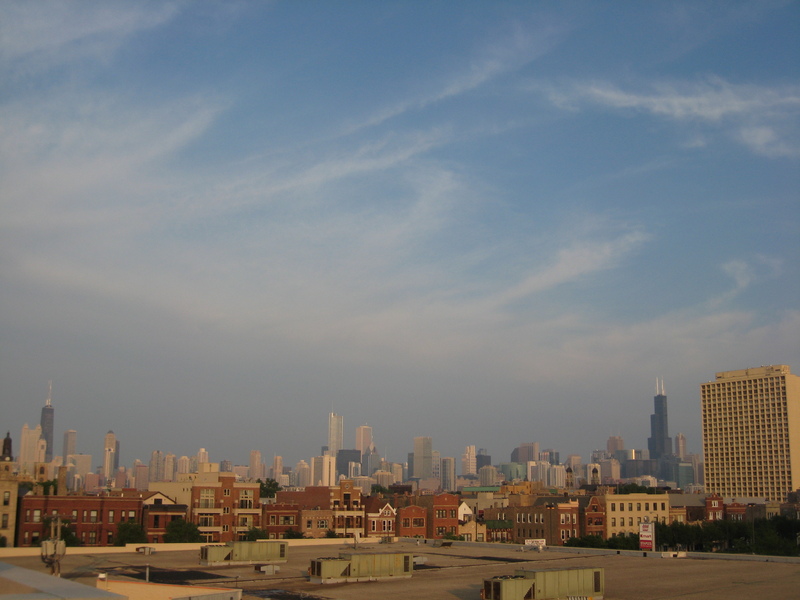 Just a quick update this morning before heading out to Taste of Chicago. I was contacted yesterday by the folks at the new Urban Grower store on North Ave. They will not be having their grand opening until mid July. If you marked June 28th on your calendar, scratch that and check their website for updates. They are only having a soft opening this week. Hey, can we get in on that? Here’s my completely unsolicited wish list for their rooftop supply stock. Anybody care to add anything? Hope you don’t mind that our gardening fantasies are running wild at your expense, UGC. It’s just that those of us in Wicker Park are thrilled to have an alternative to that gigantic orange store right down the road from you. Best wishes on your GRAND opening! The first Opalkas, now about 1″ long. Not entirely convinced this is a “dwarf” variety of gray peas. Kind of a sad little Ozark crop this year, but they had a rough spring. 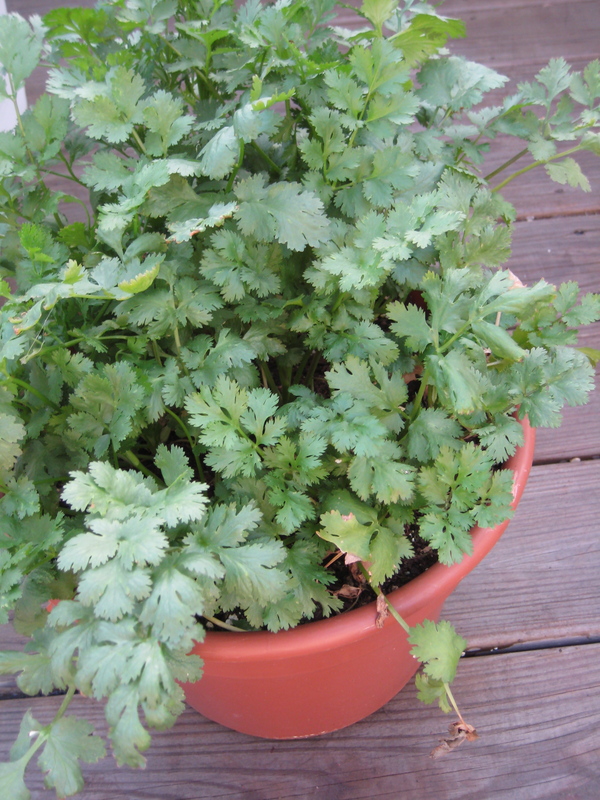 Cilantro from seed in a matter of weeks. I hereby endorse this as another wind-friendly crop that can endure abuse. 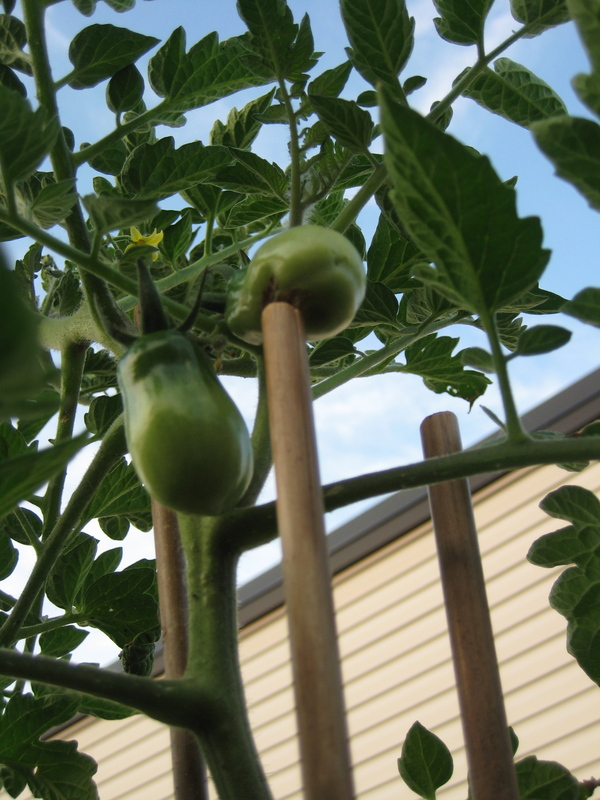 The cuke, zucchini and squash plants have been nothing to write home about, but all tomatoes (Stupice, Kellogg’s Breakfast and Opalka) are now thick stemmed and blooming. Portland, OR was beautiful as always. My intention was to post some panoramic pictures of the International Rose Test Garden, but their roses did not bloom in time for the Rose Festival. They’ve had strange weather this year, just like Chicago. And just when I thought all hope was lost on my rooftop, I came back from Portland to find edible vegetables. Despite the wind, despite the 60 degree change in temperature over a 48-hour period, everything survived and without my attention. Is that like “a watched pot never boils”? The micro-irrigation drip system I bought from Green Thumb Garden Center worked perfectly. I was plenty nervous to leave a faucet running on the rooftop for a week unattended, but between the anti-siphon attachment and the automatic watering timer, it all seemed to run smoothly. Simple set up too- approximately 45 minutes to run the entire system throughout my planters.